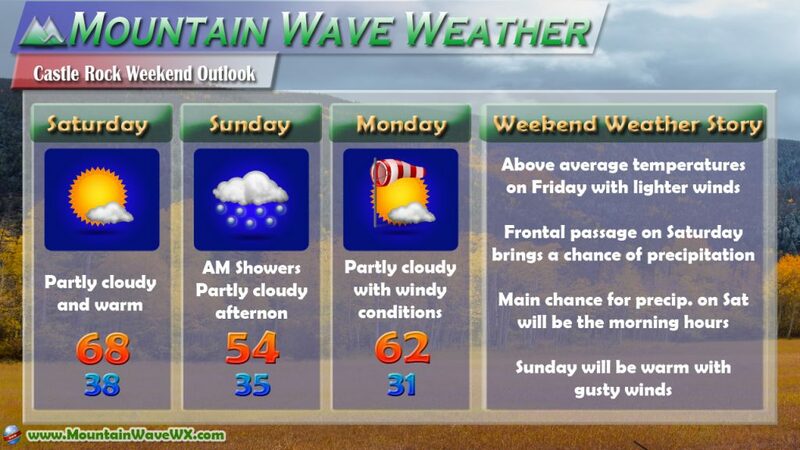 Generally our weather pattern of warm, dry and windy looks to hold for the foreseeable future, the one exception this weekend will be Saturday. After a warm and pleasant day on Friday, we expect a quick cold (relatively speaking) front to move through the area sometime later on Friday and into Saturday morning. Just like last week, when this front moves through it may generate enough lift to squeeze moisture out of this system. If we are lucky we may see snow or rain showers early Saturday morning but most likely this won’t be a major event. 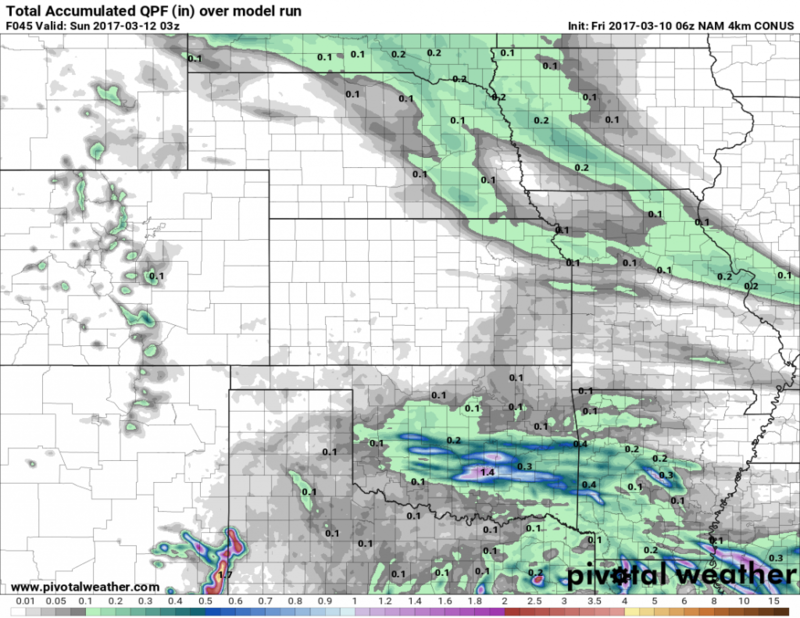 Many areas probably won’t see any rain or snow, or it will evaporate before it can make it to the ground or on the ground. The NAM4K is one model of many that agrees on a pretty light impact for the front range of Colorado. Most of the precipitation will fall along the Palmer Divide region where the lift can be enhanced the most. The heavier amounts look to be Southward across Northern El Paso county, but a shift North could bring more moisture our way. That being said, the shift would be a difference between 0.01 inches and 0.1… so don’t expect to get drenched either way. 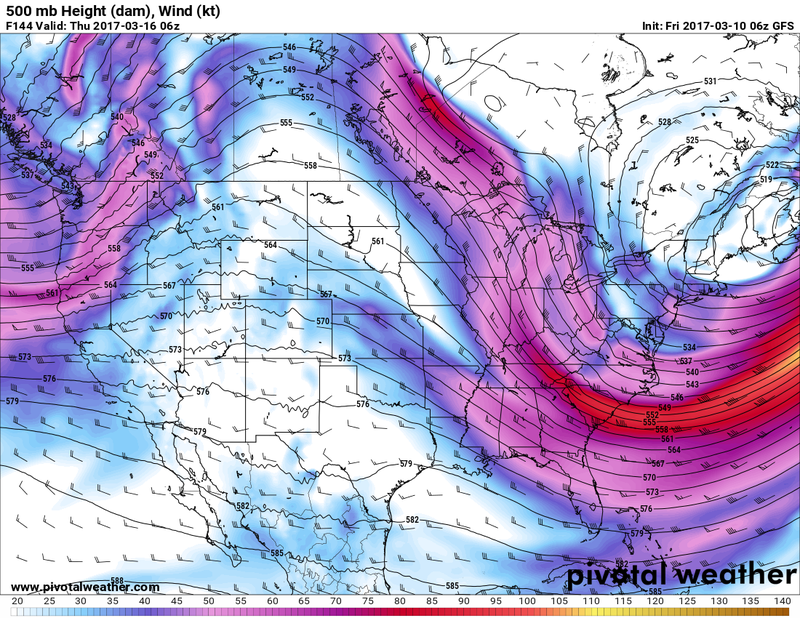 500mb GFS shows major ridging across Western U.S. Things don’t look great for our chances of seeing moisture. A strong ridge like this means we will see very warm temperatures and mostly sunny skies across the region for a majority of next week. This certainly won’t help our fire danger or drought situation. 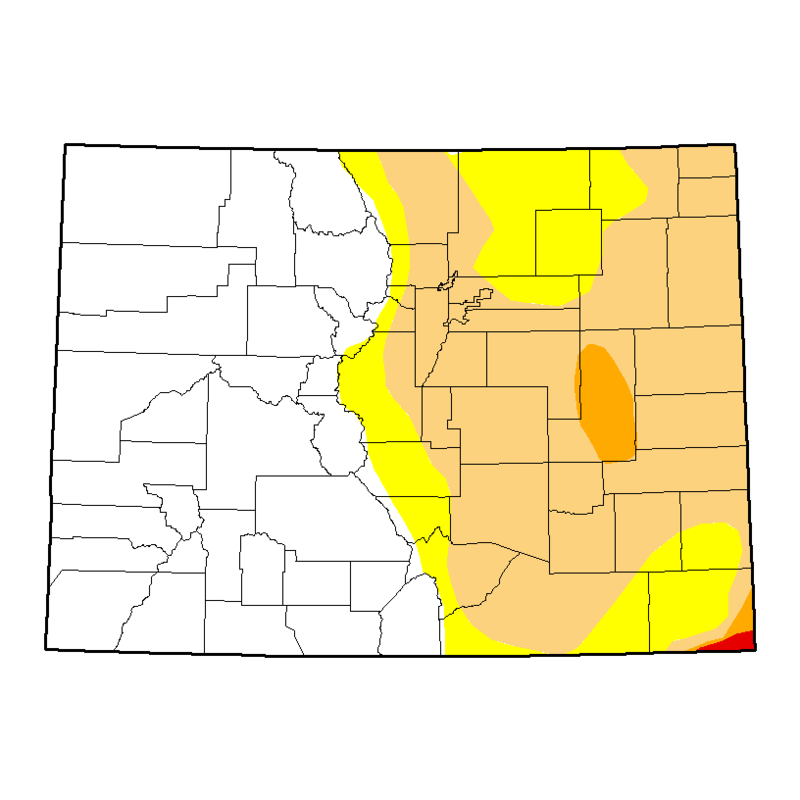 Much of Eastern Colorado is in a drought status of some sort, here along the Palmer Divide we are mainly in a D1 “Moderate Drought” status. This has held most of the winter as we haven’t seen decent amounts of snowfall during the season. We don’t expect that March will offer much to help us break this status though, given the current weather pattern. I don’t always agree with the CPC products but their latest outlook for March seems pretty viable. The graphic above shows a 40-50% chance that March ends below average for precipitation for the month (this can come in the form of rain or snow during March.) You’ll notice the target area of the dry conditions lives quite nicely in the same area we see strong ridging from the 500mb model above. For now we will just have to wait with our fingers crossed to get some moisture this month. If we end up very dry for March it is sill not the end of the world as April and May can deliver wetter conditions. 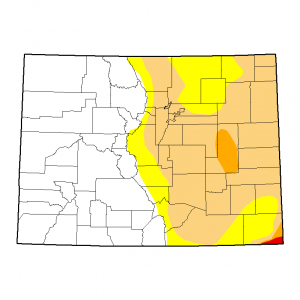 If March does end up super dry, we will place greater importance on April and May, if we are having the same “dry” discussion into April and even May… then we will probably be in for a very hot, very dry summer along the Colorado front range. For what it’s worth, years where the January-March time frame have been below average for snow/precip rarely finished at or above average for the season. We’ll keep an eye on that!